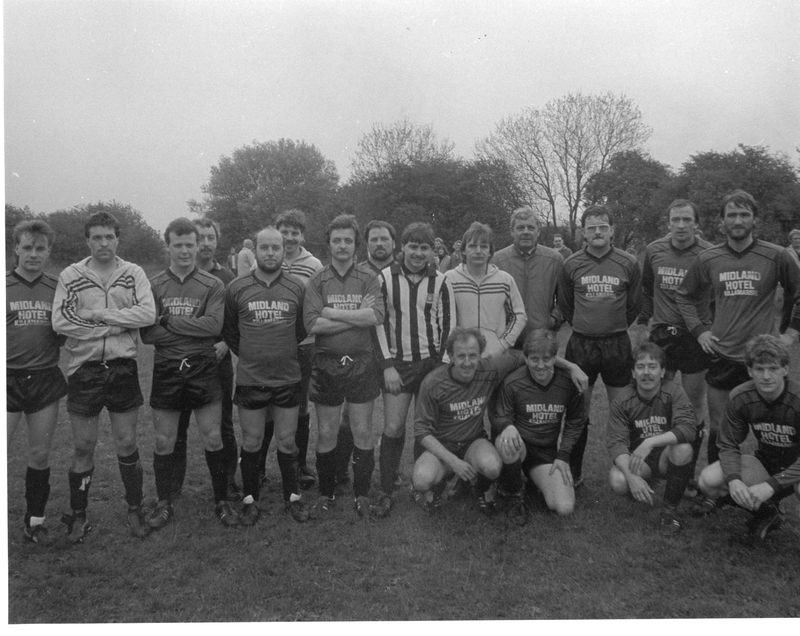 Midland Pub Charity football match for the Bradford Fire Appeal on the Juniors Ground Easter 1985. Any names please. Photo copyright of Dave Brookfield. Stood 1?, 2Tony Willoughby, 3?, 4Mick Marklew, 5Kevin Bown, 6Roger Barraclough, 7?, 8?. 9?, 10Philip Watts, 11-14? knelt down, 1?, 2Steven Clayton, 3Stuart Pattison, 4?